It’s our Birthday and we’re going to party hard, and we want all of you to join the fun! you won’t want to miss any of it. And besides, who doesn’t love Birthdays? 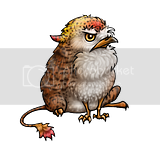 Oh, right… something about a Griffon Breeding Season will be happening too, grumpy griffon chicks and all. There’s going to be something for everyone, so come on down and check it out! Auctions ending tonight, New Contests up & Sneek Peek!